Docker is a popular open-source container application that allows you to package an application, its inter-dependencies and associated libraries in a single unit. A major advantage of using this is that docker containers on a single machine share the same operating system kernel, which helps in boosting performance and saving a lot of memory. Monitoring docker containers is a challenge as they are isolated and the applications are dynamically allocated. A robust monitoring solution is one that can easily track these dynamic, rapidly scaling containers. 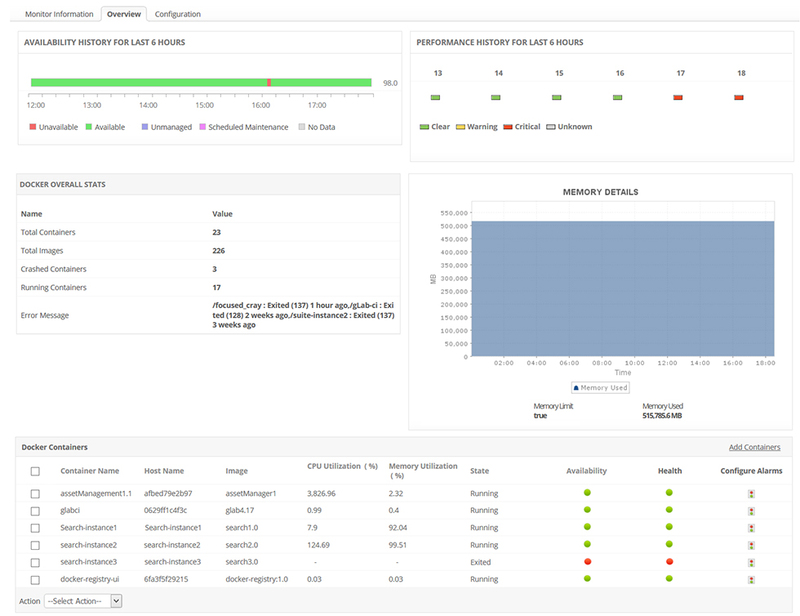 Applications Manager satisfies this requirement, and provides a deeper look into the Docker environment, by monitoring critical parameters related to its overall performance and availability, and prevents unprecedented cases of downtime. 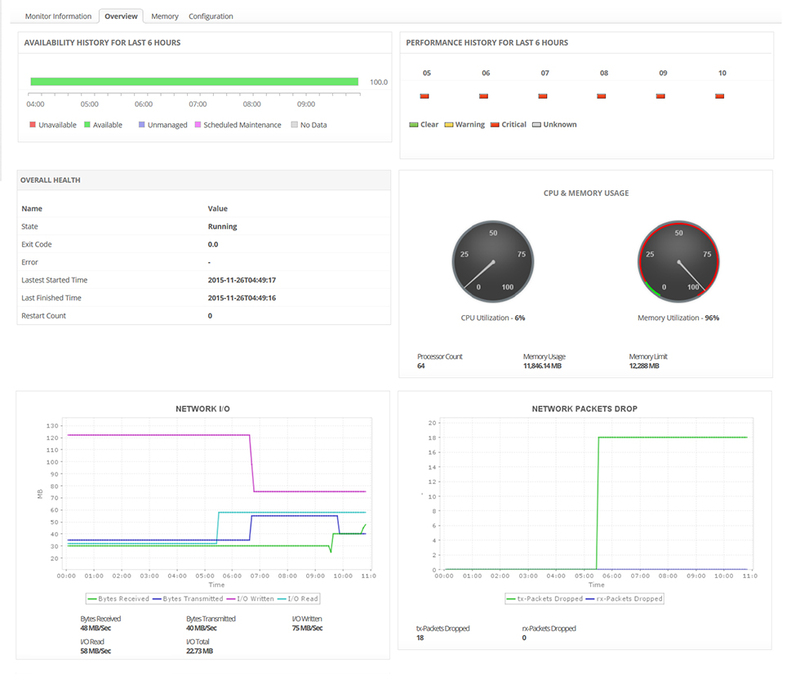 Applications Manager detects creation of new containers, provides details regarding CPU and memory utilization, status( running or exited) to ascertain the health, availability of the containers. Understand the container load, and make room for better container deployments by viewing the memory usage details. Get to know about the utilization of the cache memory, inactive and active anonymous memory, number of page faults detected, etc. Also get to view the top performing containers based on memory and CPU utilization. Monitor network traffic for overload or congestion by tracking the number of dropped network packets, bytes transferred and received and learn proper connectivity between the container and associated host. Ensure uninterrupted running of Docker containers. Dynamically configure actions for added containers by stopping/starting/ restarting execution for a specific container(s), and set the maximum duration for the same, and receive prompt notifications once the action is complete. 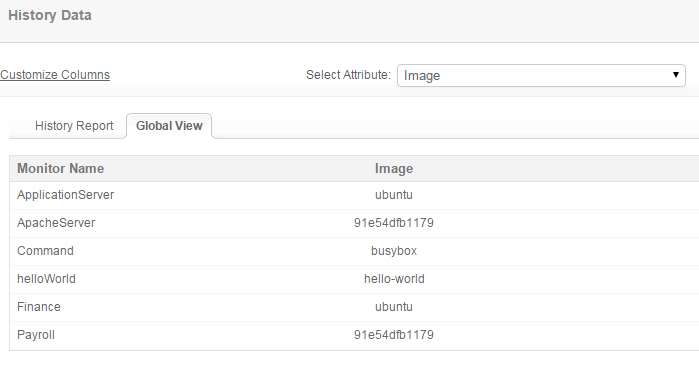 Use configuration reports to list all containers using the same image. Also get to know about the IP address, path name, host name, state and ID of each container.